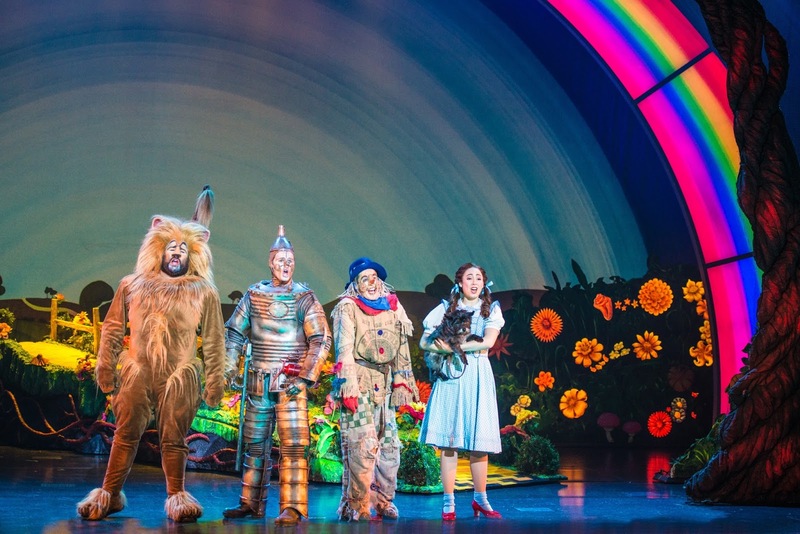 The Wizard of Oz is coming to Boston! 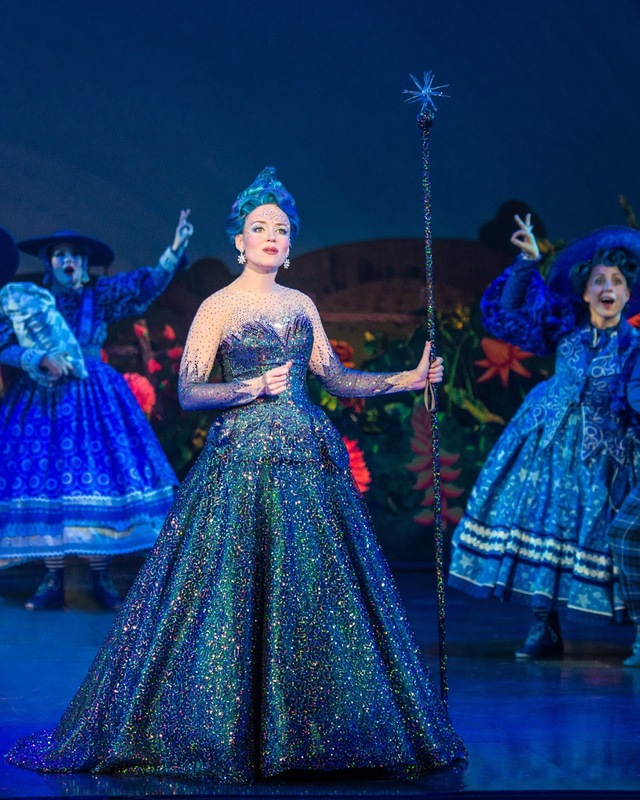 The Wizard of Oz will play a 2-week engagement at Boston’s Citi Wang Theatre, running April 12-24, 2016. This new production is an enchanting adaptation of the all-time classic, totally reconceived for the stage. Developed from the ever popular MGM screenplay, this production contains the beloved songs from the Oscar®-winning movie score, all the favorite characters and iconic moments, plus a few surprises along the way, including new songs by Tim Rice and Andrew Lloyd Webber. The Wizard of Oz had its world premiere at The London Palladium Theatre in March of 2011. 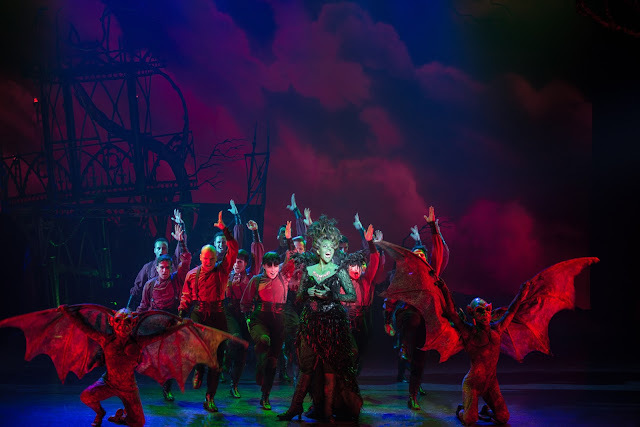 After a successful West End run, the production had its North American premiere in Toronto in December of 2012, and then embarked on a U.S. tour beginning September 2013. 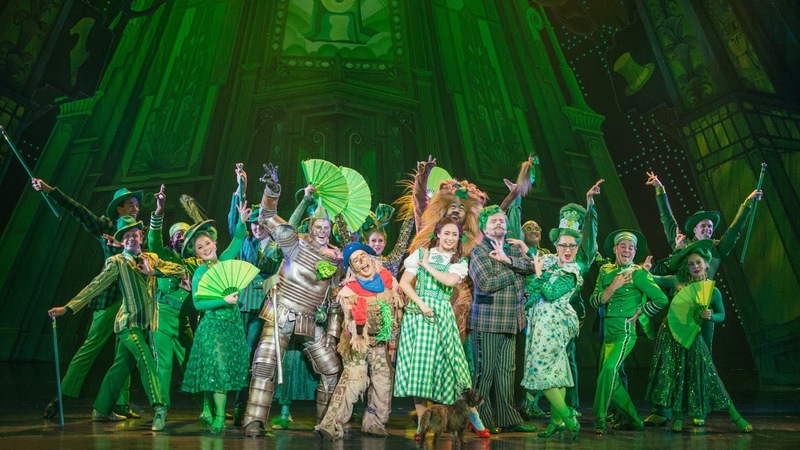 Save 25% on tickets to see The Wizard of Oz at the Citi Wang Theatre! Visit http://citicenter.org/buy/show-listing/wizard-of-oz and enter code OZMOM to buy your discounted tickets. Discount applies to select performances (4/12 7 pm, 4/13 7 pm, 4/14 7 pm, 4/15 7 pm, 4/17 6:30pm ) while supplies last. Valid on all levels, excluding Orchestra Pit. One lucky Dollops' reader will win a four pack of tickets to the opening night performance on April 13, 2016 at 7pm in Boston. This is a Wednesday night so please make sure you can attend before entering the contest. Enter via the Rafflecopter form below. Good luck! My family had the pleasure of going to see The Big Apple Circus this past weekend and it was AMAZING. Seriously, this show never disappoints and I swear it gets better each year. It definitely is captivating for audiences of all ages. 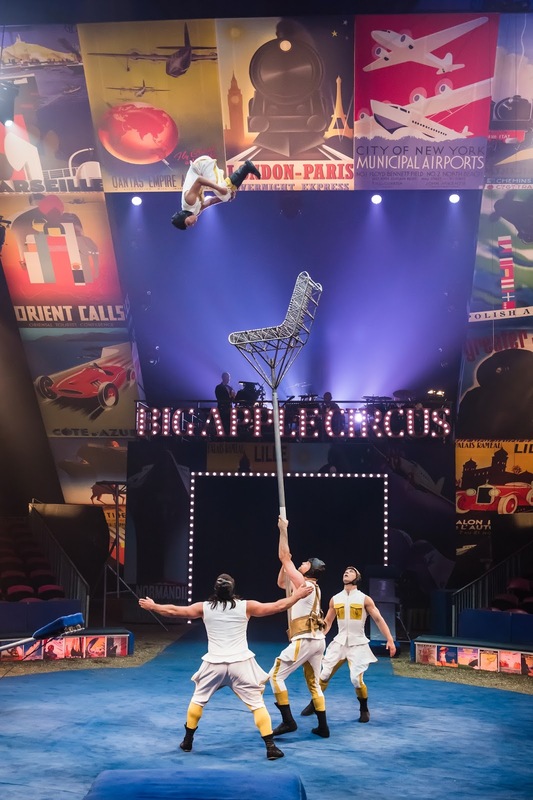 Whether you are looking for acrobats, animals, clowns, jugglers, or people straight up doing things you would never even DREAM of, The Big Apple Circus has what you're looking for. There also isn't a bad seat in the house (aka tent)! We all just sat and marveled at the performers' skills. I loved looking over at the kids during the acts. The awe on their faces were priceless. We spent the entire ride home (and the days to come!) talking about the different performers and how funny, interesting, and amazing they were. The talent really is incredible. I (clearly!) can't say enough good things about the show. Why not go check it out for yourself? Playing under the Big Top at City Hall Plaza, Boston, the show runs from March 24-May 8, 2016 with tickets starting at $25. The Grand Tour transports audiences to the Roaring 1920s, the advent of the modern travel era, when the most adventuresome began touring the world in ships, planes, trains, and automobiles. 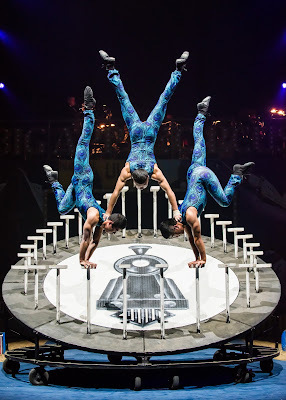 With every seat less than 50 feet from the stage, audiences will be awed by the world-class entertainers as they perform breathtaking acts from the four corners of the globe. 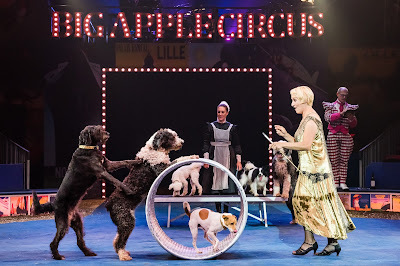 Clowns, jugglers, acrobats, and aerialists from Africa, Asia, Australia, Europe, and North and South America appear with ponies, puppies and more; the troupe sets off on a whirlwind adventure, accompanied by the live, seven-piece Big Apple Circus Band at each performance. You can find tickets HERE and enter the discount code BIGAPPLE to save 20% on select performances! *My family received complimentary tickets to the circus. As always, all opinions are my own. 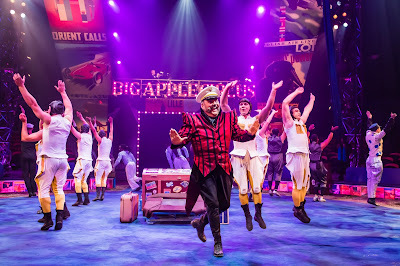 The Big Apple Circus is coming back to Boston with their new show, The Grand Tour, and we couldn't be happier. 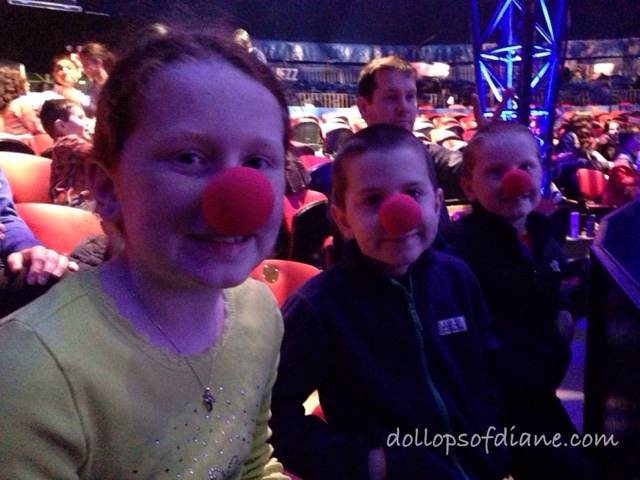 My kids LOVE the circus! It's always a day filled with fun, laughter, and good times for the whole family. Playing under the Big Top at City Hall Plaza, Boston, the show runs from March 24-May 8, 2016. The Grand Tour transports audiences to the Roaring 1920s, the advent of the modern travel era, when the most adventuresome began touring the world in ships, planes, trains, and automobiles. 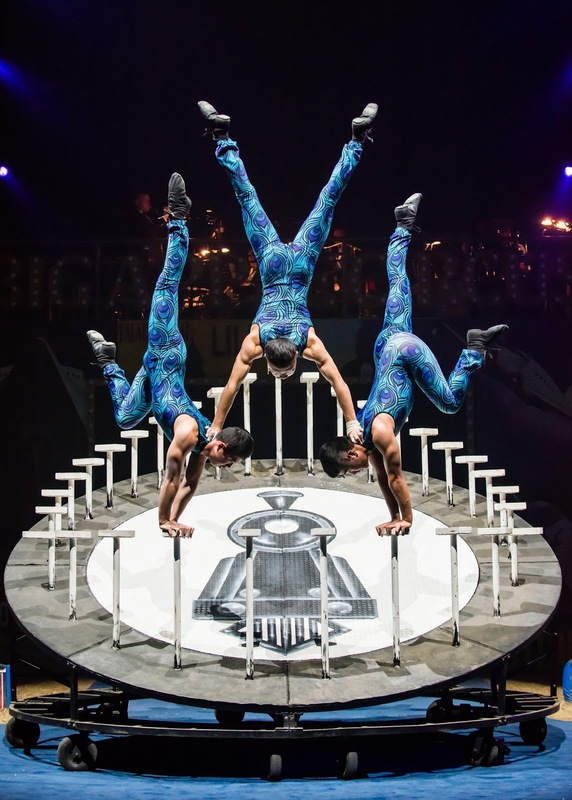 With every seat less than 50 feet from the stage, audiences will be awed by the world-class entertainers as they perform breathtaking acts from the four corners of the globe. Clowns, jugglers, acrobats, and aerialists from Africa, Asia, Australia, Europe, and North and South America appear with ponies, puppies and more; the troupe sets off on a whirlwind adventure, accompanied by the live, seven-piece Big Apple Circus Band at each performance. It's sure to entertain everyone! Circus of the Senses will take place on Tuesday, March 29 and Wednesday, March 30, 2016 at 11am. Circus of the Senses performances are specially adapted to enable children and adults with vision or hearing impairments and other disabilities to experience the joy and wonder of the circus. Tickets for Circus of the Senses are $12.50 ($10 for groups of 10 or more). 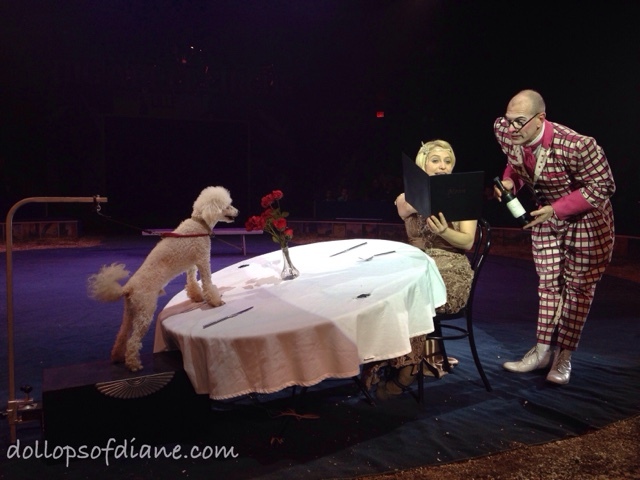 For tickets, please visit www.bigapplecircus.org/circus-of-the-senses to fill out a ticket application form. 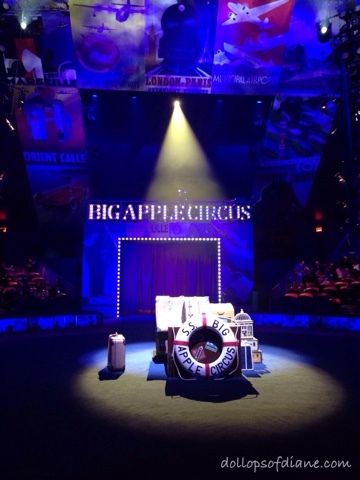 Big Apple Circus Embraces Autism will take place on Thursday, March 31, 2016 at 11am. Big Apple Circus has joined with world-renowned Autism Spectrum Disorders experts to adapt The Grand Tour for families with members on the spectrum and create a joyful experience for all. The adapted show includes the same world-class artistry as the full performance with a shorter running time, adjusted lights and sound, a calming center, pictorial social narratives, and specially trained staff and volunteers to assure a memorable event for everyone! All tickets to this special performance, a 75-minute abbreviated show, are half price. The Grand Tour Family Fun Day will take place on Saturday, April 16, 2016. The fun starts at 3:30pm with interactive entertainment by our Clown Doctors, followed by a full performance of The Grand Tour, and then dessert in the Ring with the performers. Plus free popcorn for all and free goody bags for the kids! Tickets start at $30. 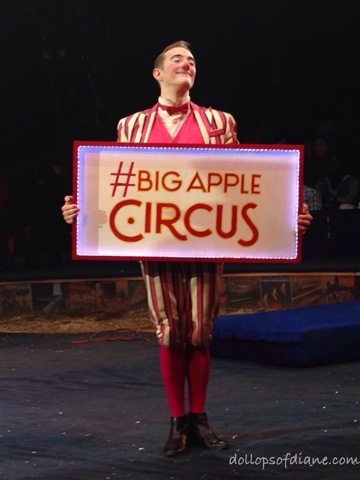 All proceeds support Big Apple Circus Clown Care® at Boston Children’s Hospital, as well as our adapted performances. 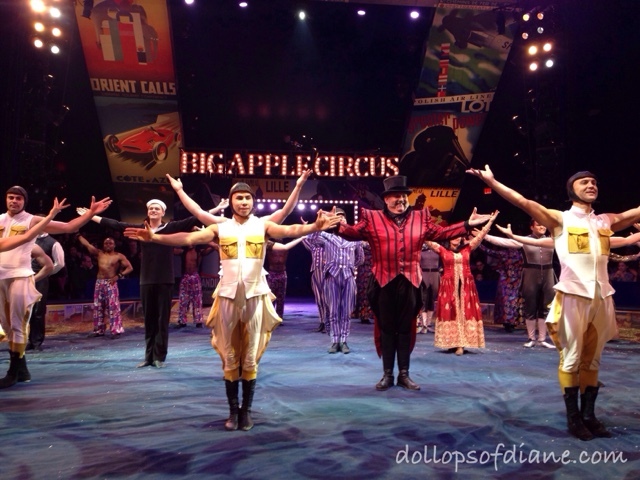 Regular tickets for The Grand Tour start at $25 and are available at www.bigapplecircus.org, by calling (888) 541-3750, or purchasing them at the box office. Order online or at the box office using the code BIGAPPLE* to save 20% on select performances. One lucky Dollops' reader will win a family 4 pack of tickets to the (Easter) Sunday performance on March 27th at 4:30pm. If you are able to attend this show and feeling lucky then enter via the Rafflecopter form below! *Limited availability. Offer good on select seats and shows. Other conditions apply. Children under 3 are free on the lap of a paid adult, one child per lap. 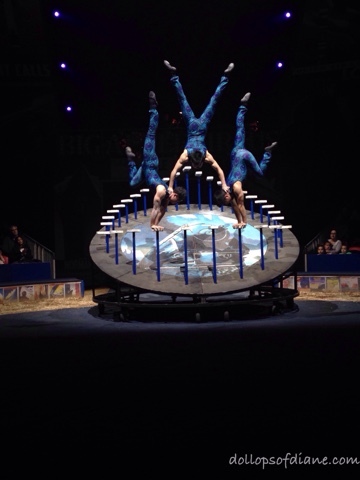 **My family received complimentary tickets to the circus. As always, all opinions are my own. 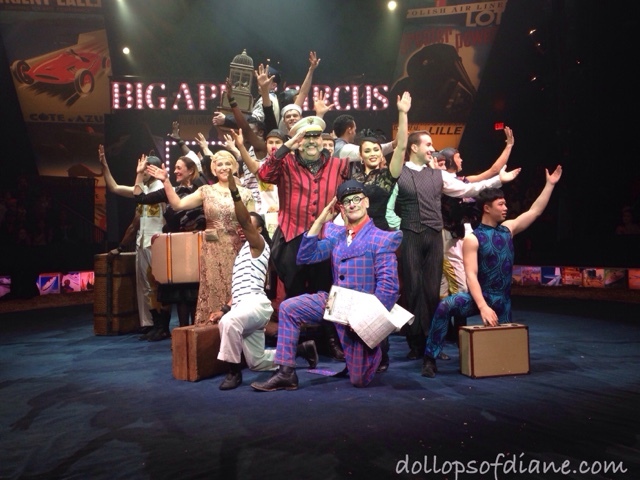 Photos courtesy of The Big Apple Circus.